Does a relationship end only when they have broken up or when they reach the destiny? Not all love stories have an end; a few relationships are stuck in between, somewhere sometimes, into the timeline. 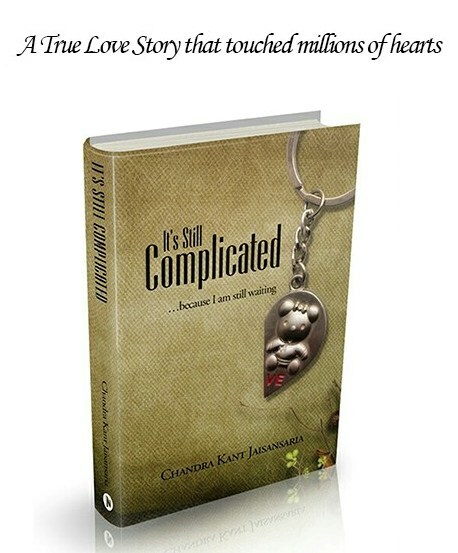 It’s Still Complicated is one such story where the girl has moved on but he couldn’t. They both are unhappy without each other, but still they cannot meet. She still cares, she still loves, she is still angry with him for what he did, but they don’t seem to have the strength to come back to what they had. And his relationship status will remain ‘It’s Still Complicated’ till she comes back. This is a story which will never end as few stories are better to be left in between and few people are better to be left stuck as, if they are pulled out, they would either die or break. God might have forgotten to complete their story or he must be still writing it. Romantic, funny and heartfelt, this heart breaking true love story has already touched a million hearts. This novel is must read for everyone who believes in true love.